Teaching English as A foreign language (TEFL) is one among the many esteemed certifications required to teach English to people who are non-natives. If one lives in an English-speaking country and is unable to speak the language flawlessly, the individual is deemed unfit. In order to overcome this situation people who belong to non-native countries go to TEFL certified teachers to master the language. A lot of people strive hard to become TEFL teachers so that they can fulfil their dreams of getting a secure job. If one can travel to exotic locations and be paid for it, why wouldn't anybody strive hard to get TEFL certified? Getting TEFL certified is a very easy process, more so if you are a native speaker. Since TEFL courses are found worldwide, you can opt to choose a foreign country to get your certification. If it is your wish to stay home to be a certified as a TEFL teacher you can do that. You can also opt for online courses which are found in plenty these days. It is ideal to choose to be certified through these courses found online if you are on a tight budget and cannot afford to travel abroad. Many of the courses also help you find jobs and you would be placed even before you complete the course. They help tweak your resume and provide all the help necessary to get you a secure job. If you are one who isn't planning to leave the country and only want to teach English online you really do not require to be certified. But if you aspire becoming an English teacher or would love to get yourself a lucrative career as an English teacher abroad, it is mandatory to be TEFL certified. It would never ever hurt to have an extra certification though. TEFL or ESL teachers usually teach students who opt for the ESL course. ESL is an acronym for English as second language. Learning new vocabulary is essential to keep up with the modern times. This is very important for students and TEFL teachers need to make sure their students are in par. A few tips that can be followed by teachers to achieve excellence are enumerated below. · Motivate your students by doing the following. Put down a number of words that you would like to teach in a small book, take copies of this book and distribute to the class. Give a small test of 10 to 15 words and chart down the names of the topper. Mount this chart on the walls of the classroom. · Creating and sticking flash cards with new words plays wonders. Play games which involve finding the words on the flash cards. 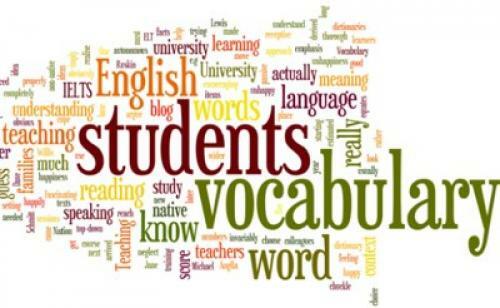 · Ask students to find new words from anything that they use. For example they can cut words for cereal boxes, cartons etc. · Asking the students to think of new words that relate to a word you write on the board can actually help them think out of the box. In a nutshell TEFL is explained as Teaching English as a foreign language and the certification can actually help you teach people who are willing and would love to learn ESL. Being certified has another benefit of helping you live a life you love.